I've just realised I haven't posted in longer than usual, life has been so manic I hadn't really thought about it. 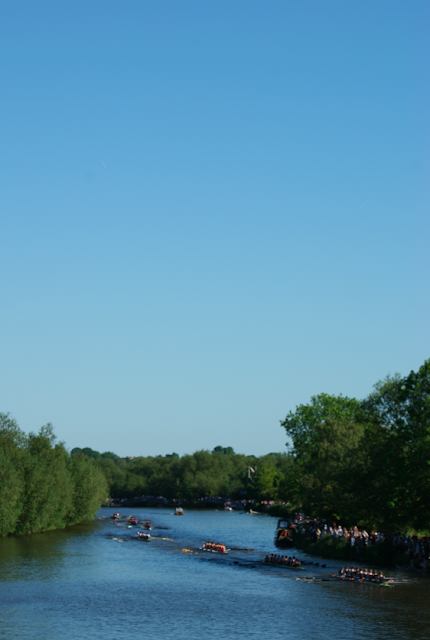 It was the big rowing regatta of the year for most of last week - Summer Eights- and so I had a lot of training before the event and then spent all of the race days chilling at the river cheering my college on or actually rowing myself. Unfortunately we didn't do as well as we had hoped, but it was still a fantastic four days I'm sure I'll remember for the rest of my life. My exams are also now looming large with only two weeks to go, so I think posting may be a little sparse, despite still having lots of things left to post about from Cornwall. 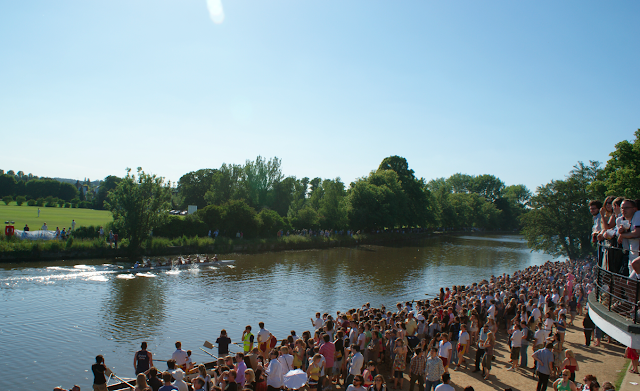 Summer Eights is a fantastic event - it's a bumps race, which is only practised at Oxford, Cambridge and Eton. In short, we have to catch and 'bump' (usually literally) the boat ahead over a 2km course, rather than racing side by side or in time trials. It makes for a great spectator sport and is great fun to race in - nothing keeps you going like seeing the crew behind you start gaining on you or hearing the cox shout that you're close to bumping. It's a big event - about 1500 rowers from all the different colleges take part, and there's meant to be something ridiculous like 15,000 spectators. When you're getting very close to catching the boat ahead, tradition is to call a 'kill', where the pressure is increased and you put everything into it (you both drop out when a bump occurs, so you can really push yourself) to catch them. We were joking about thinking of new calls, and among the favourites were 'smash' and 'bash'. 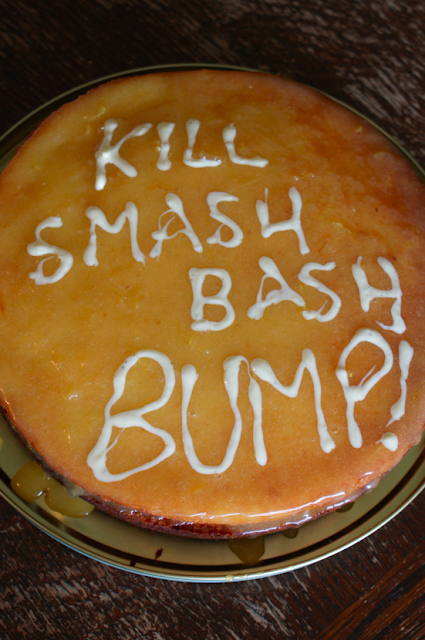 So when I decided to make a cake for the crew while I was in Cornwall, it seemed inevitable that it needed icing with 'Kill, Smash, Bash, Bump!'. 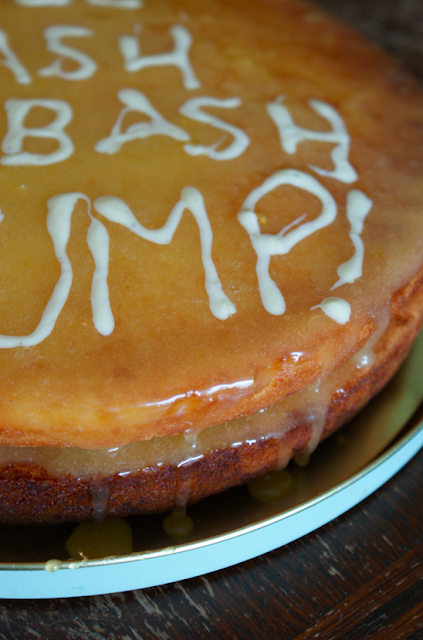 I had asked the girls before I left what type of cake was desired, and lemon came out top. I wanted to make something quite damp and dense with almond, rather than something lighter like the Lemon Curd Layer Cake I've made before. I didn't want to just ice it with sugar and juice, so I made up some lemon curd. In the end I added some lime juice to the curd, too, to sharpen it up. Everyone seemed very happy with it - it was damp but not too heavy, and the curd stayed up really well while travelling. The addition of the juice to the top icing meant most of it sank into the cake, but that gave a firm top and the white chocolate writing sat better on that than it would have in the curd. Preheat oven to 180C/ 350F. Cream the butter and sugars together until fluffy and white. Add an egg with a tablespoon of flour and beat to combine. Repeat with the other eggs. Fold in the rest of the flour, ground almonds, baking powder and zest. 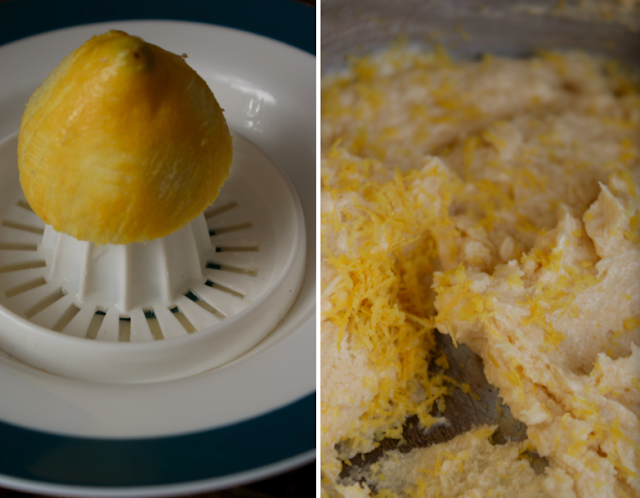 Then fold in the lemon juice, before turning out into lined tins. Bake for 25-3o mins or until golden, risen and a skewer comes out clean. Leave to cool for five minutes before turning out onto a wire rack. I then left the cake layers overnight to let the flavours mingle, wrapped up in tinfoil, but you could use them straightaway. Put the rind and sugar into a heatproof bowl that fits over a saucepan. Fill the saucepan with an inch of water and bring to a simmer. Meanwhile beat the eggs then stir in the lemon juice. Chop the butter up into small pieces. 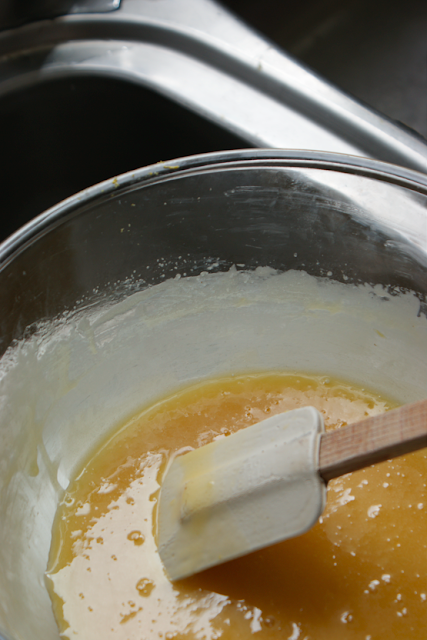 Pour the egg mixture into the sugar and rind bowl, add the butter and set over the heat. Stir until it thickens fully - it goes through a first stage then thickens again to a more jelly like consistency. Set to cool. To assemble spread the bottom half of the cake with the curd, then place the other layer on the top. 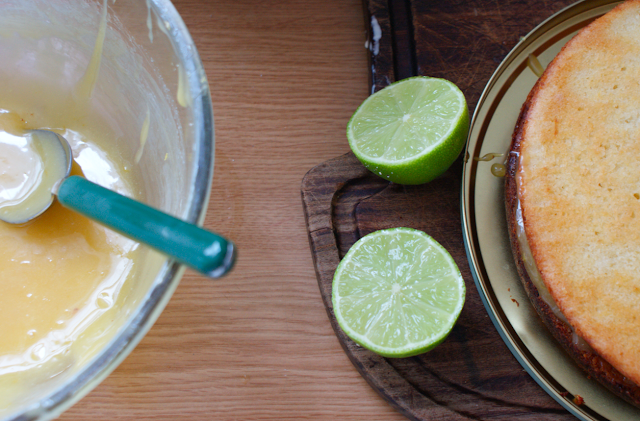 I then stirred the juice of a lime into the rest of the curd and topped the cake with that, but it would still be good without the lime, just less sharp. I then melted a couple of squares of white chocolate and as I didn't have a piping bag, cut the corner out of a plastic food bag and piped the writing on with that.